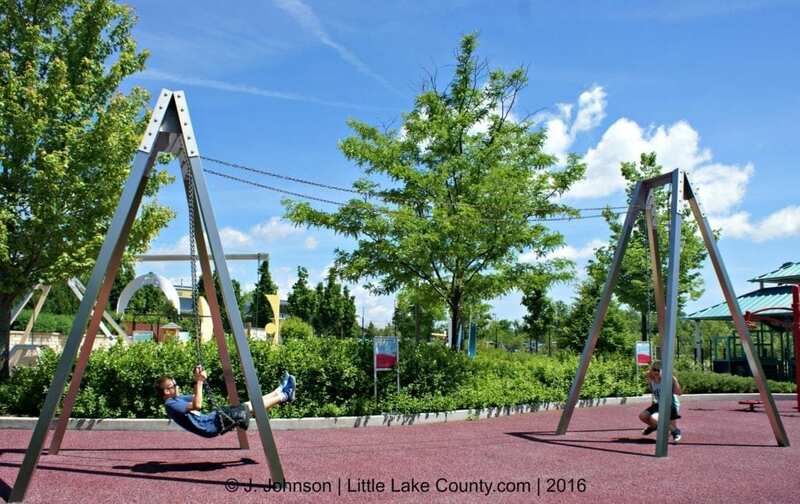 Editor’s Update 2017: Garoon Gateway to Science is a private park on the Lake County JCC campus. 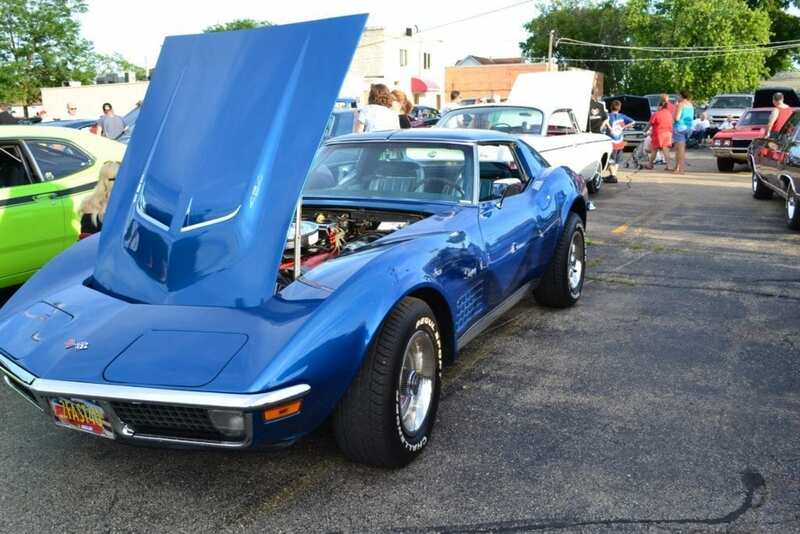 They are open to the public only during special events, such as Summer Funfest on June 25, 2017. 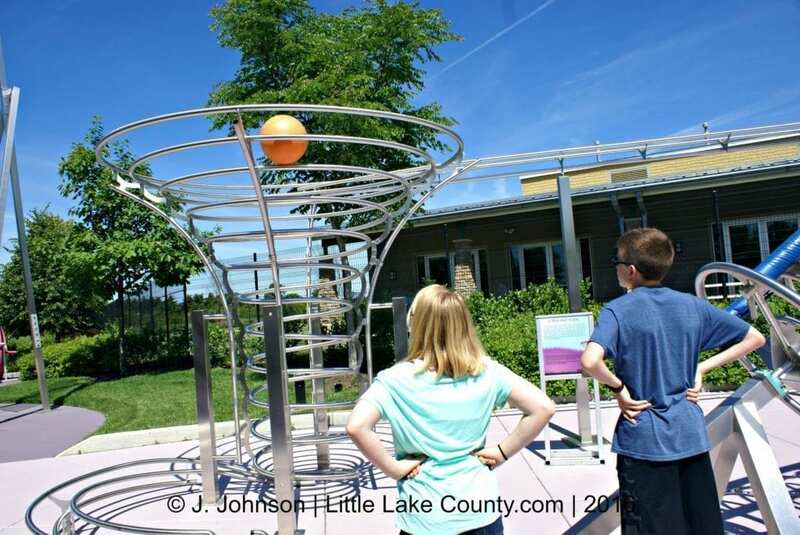 Did you know that Lake County has a world-class, outdoor science exploration center for children? 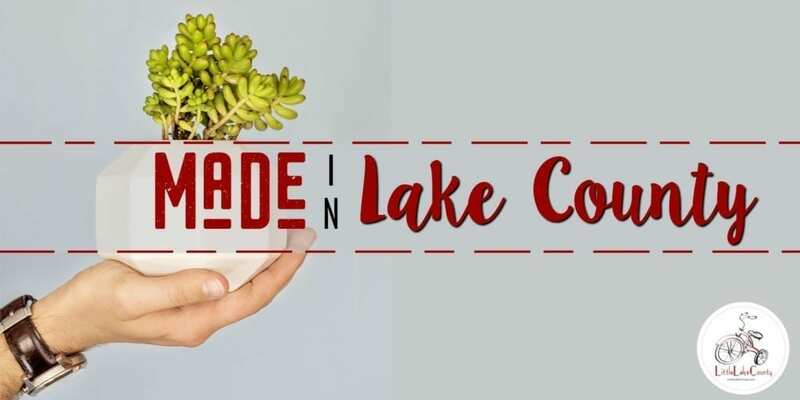 Yes, OUR Lake County. I only wish I had known about it sooner. 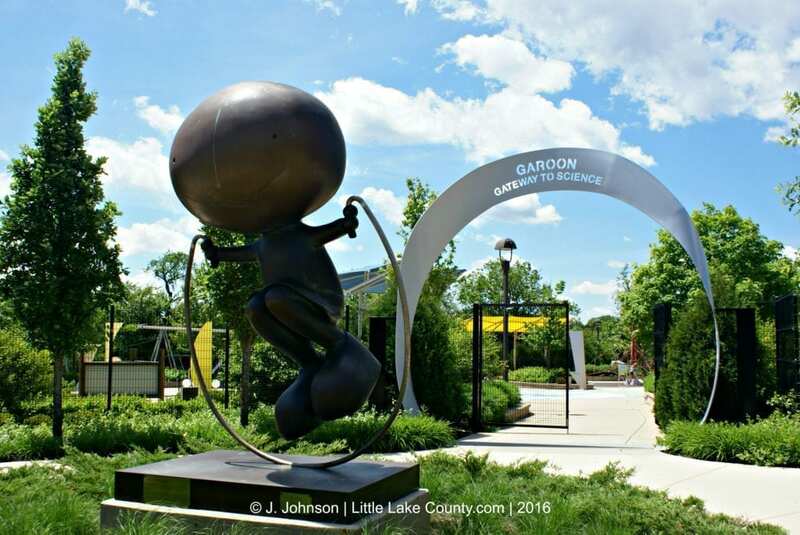 The Garoon Gateway to Science is located on the campus of the JCC Elaine Frank Apachi Day Camp in Lake Zurich, and it is an exciting and veritable wonderland of science for children (as well as for the adults that take them there). Located off of an unassuming, country road, the Garoon Gateway to Science looks like a gated park at first blush. 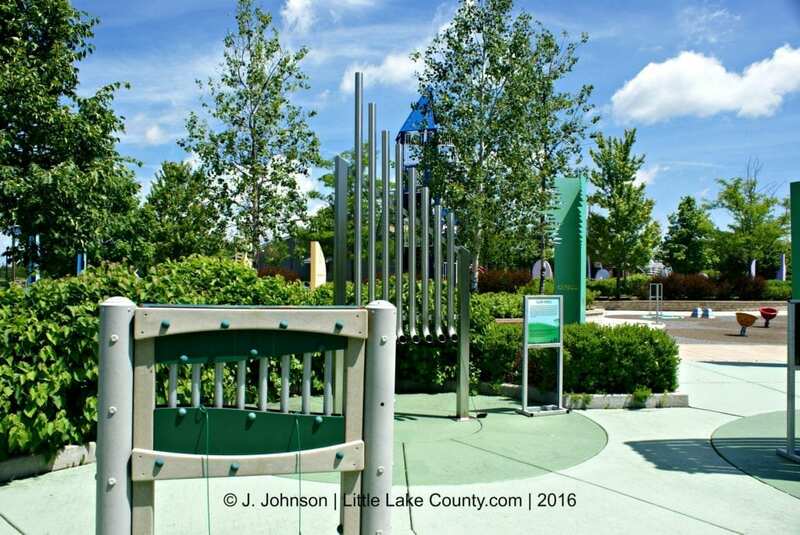 But once you enter, you realize the magnitude of what this “park” really contains—hands-on activities, intellectually and visually stimulating exhibits, and plenty of space to walk, explore, play and learn. This is not your run of the mill park, nor is it your average science museum venue. The experience begins even before the you enter the gates. 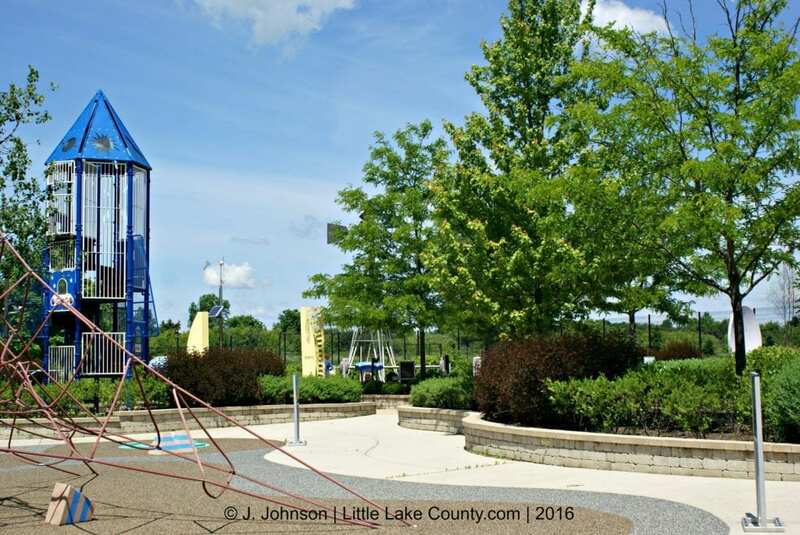 Guests are greeted by a larger-than-life statue of a child skipping rope. Children are encouraged to take a closer look at the statue and ask questions. 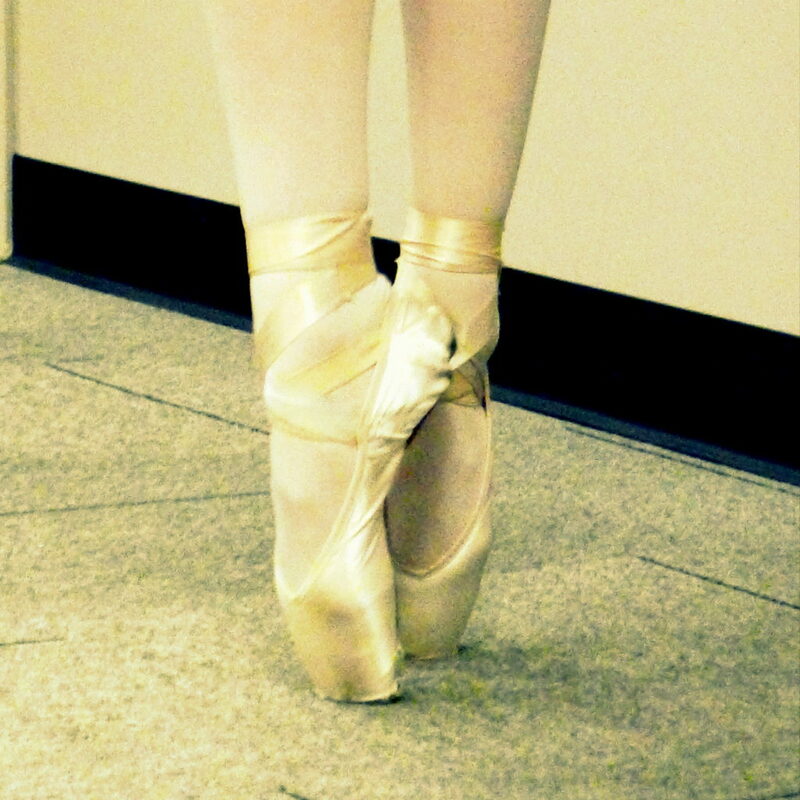 How is such a heavy piece of art balanced on such a small strand of metal? Why are the child’s shoes so large? What scientific principles apply? As visitors walk toward the entrance gates, they amble under a Mobius strip, a continuous loop with only one side and one edge. What is its significance, they might wonder. The Garoon Gateway to Science is modeled after the Clore Garden of Science at the Weizman Insitute in Rehovot, Israel, and opened in 2010. The Gateway is divided into eight sections, or courts, with each court focusing on a different aspect of science. 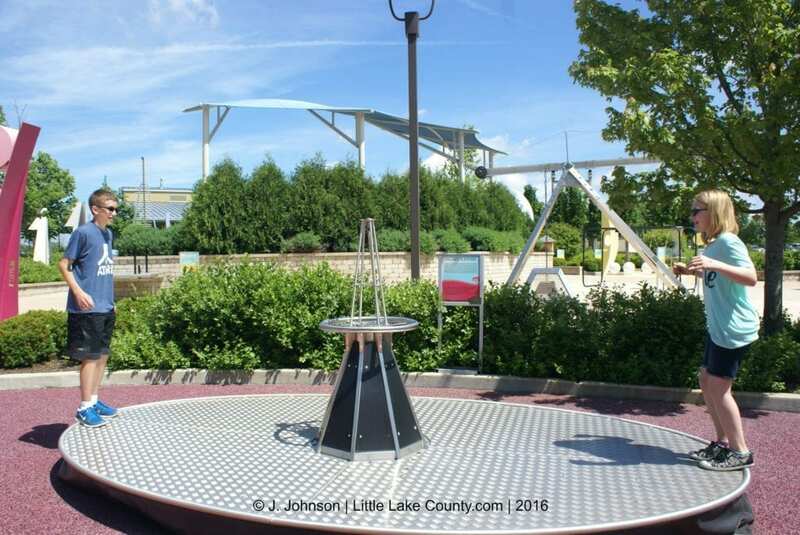 The courts include water, forces, energy, sound, motion, waves, vision and biology, and each court contains interactive exhibits that demonstrate an aspect of each concept. But the best part is, you don’t need to be a science major–or a scientist–to explain all of these complicated concepts to your budding scientists; there are descriptions, explanations and questions provided at each exhibit so no one is left wondering about the concept at hand. The descriptions and information at each exhibit can be tailored for a variety of age groups, and may be used to provide a brief overview or the basis for an in-depth discussion. 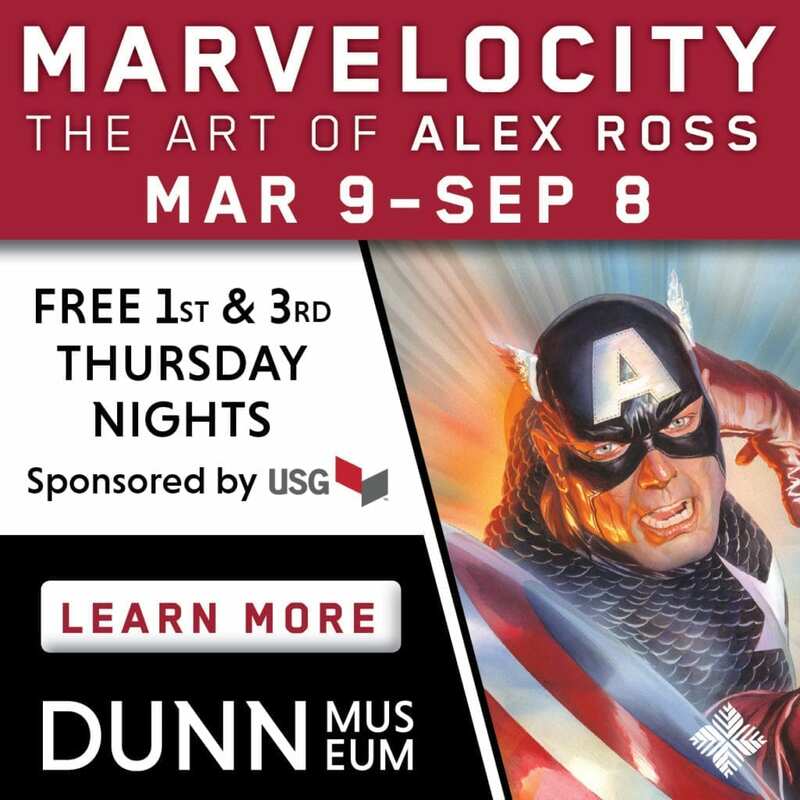 But what really makes this museum special is the outdoor venue. Guests are not constrained by walls or doors, and children have the freedom to run, play and interact very naturally as they learn. There are no maps, audio guides or docents. 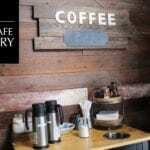 There is no stuffy air or indoor lighting. 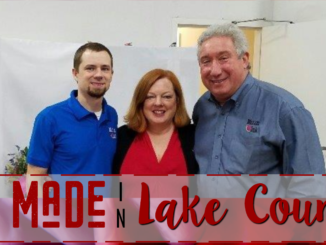 While some exhibits can be operated by one person, many of the exhibits encourage teamwork and cooperation and require more than one person in order to operate them effectively. Large, colorful signs outside of each court communicate the concept name; each court is also color coded, making it easy to remember and keep track of which area you are exploring. 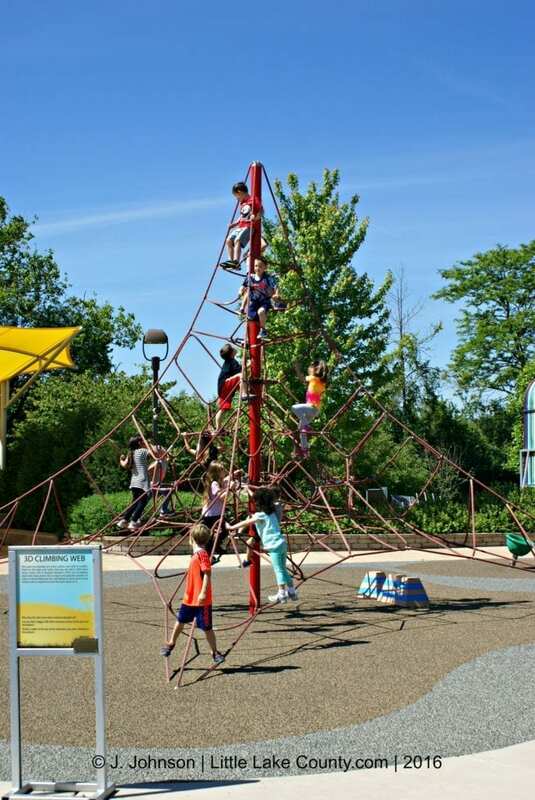 And an added bonus: there is rubberized ground cover near the climbing structures to cushion any unsteady striders. The park is also very clean, and surrounded by lush landscaping. 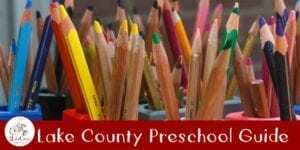 When we arrived at the Gateway, there was a preschool visiting as part of its curriculum. The kids were so excited to enter the museum, and they all squealed with delight and ran to the giant, 3-D Climbing Web in the Court of Forces, as if on cue, and started scaling to the top like a small army of mice. It was a fantastic sight to behold. 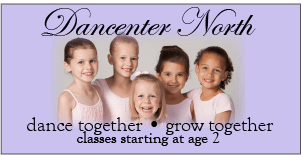 And these children must have been champion balancers, because as children are added or subtracted from the structure, everyone else on the web has to move to counterbalance the action. Other children moved to the Turn Across in the Court of Motion, where they skillfully operated a crank and moved their friends sitting in a low-rise gondola back and forth across a slender rail. Yet others gathered at the World Globe, a huge sphere that invites exploration of the Earth’s orbit and tilt. With the sun at their shoulders and the soft breeze blowing their hair, the kids played, explored and had fun. The children organized themselves, took turns, offered advice to one another, and probably didn’t even realize how much they were learning while having fun on this beautiful day. 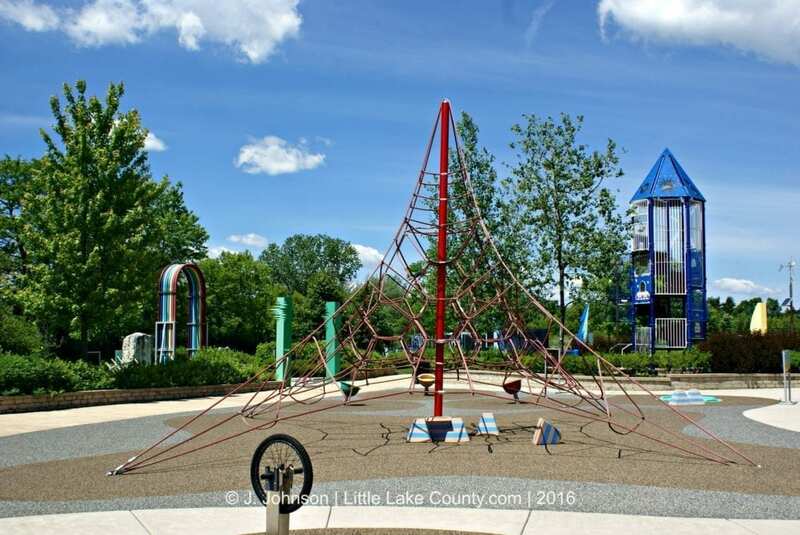 Exhibits at the Gateway are geared toward children ages 8 to 14, but there are exhibits that even preschool children can enjoy and many that adults can appreciate, too. 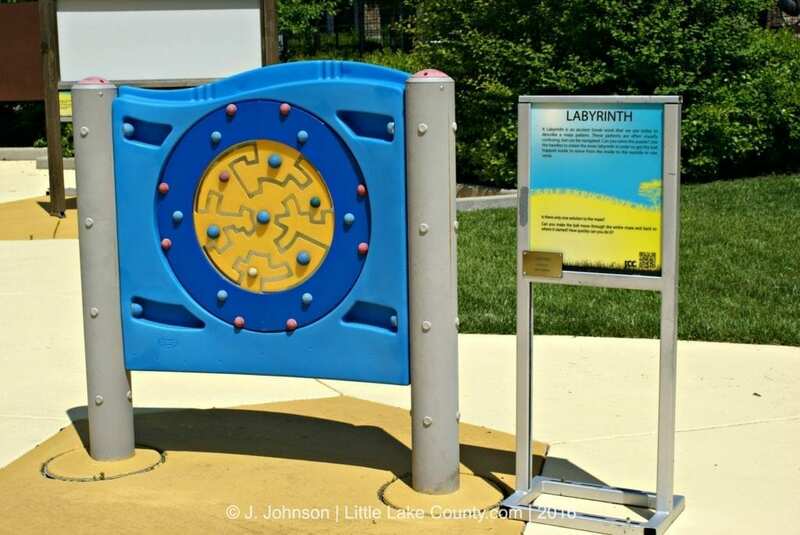 Younger children will love the labyrinth, the water circuit, the bubbles station with colored water and a variety of wands, a geared pistons exhibit, musical pipe instruments and rocks, echo tubes, mirrors, and binoculars, among others. 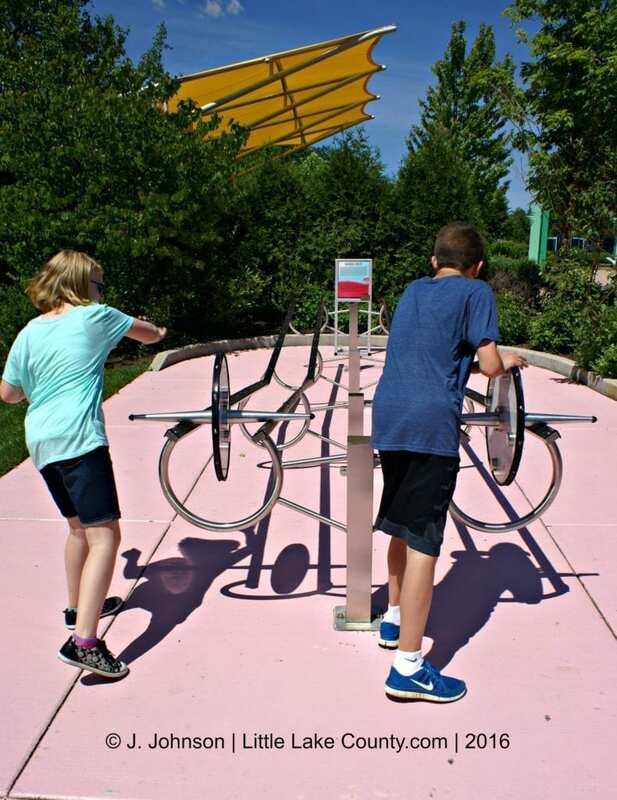 Older children will delight in testing force and mechanics while using the Giant Level, exploring the rotation of the earth using a life-sized sundial, playing a lithophone to make sounds from stones, challenging their friends to a wheel race, operating and observing the Screw and Spiral, playing and observing inside of a kaleidoscope, and watching wildlife in their natural habitat. The Gateway experience, with it’s vast variety of interactive displays, captivates and develops learners of all levels. I visited the Gateway with my two children, ages 14 and 11. We had a great time exploring each of the courts and trying out nearly all of the exhibits. 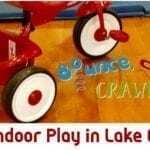 My children promptly competed against each other in the Wheel Races several times. But the Screw and Spiral was an immediate interest-grabber in the Court of Waves. 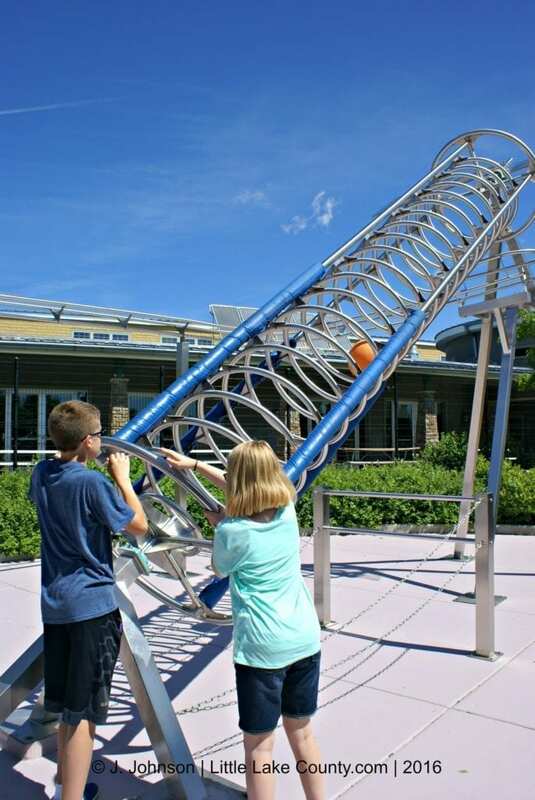 Once the children guide the ball to the top of the spiral, the same ball travels across a track and into a metal screw, demonstrating the concepts of energy transformation. It was fun to see them both mesmerized at this exhibit. By far, the most challenging and fun exhibit for us was the balance platform, used to demonstrate force and leverage. The kids were so eager to show me what they had learned at this, and other stations, and each one had a favorite exhibit by the end of our visit. But with 52 hands-on exhibits, I must say that it was hard for each of them to only choose one favorite. 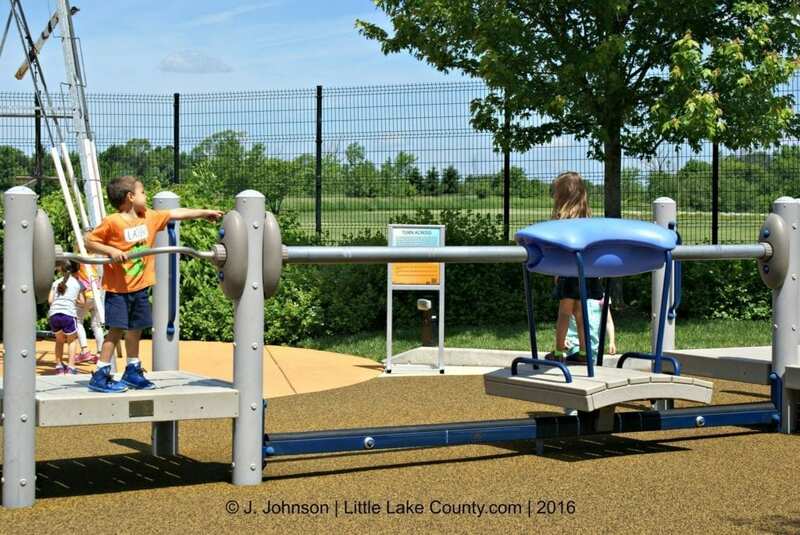 The kids also enjoyed trying to figure out how to use the coupled swings, noting the principles of energy transfer and resonance in the process. It might not be as easy as it looks, but by the time they are finished experimenting and swinging, they can tell you how it works. 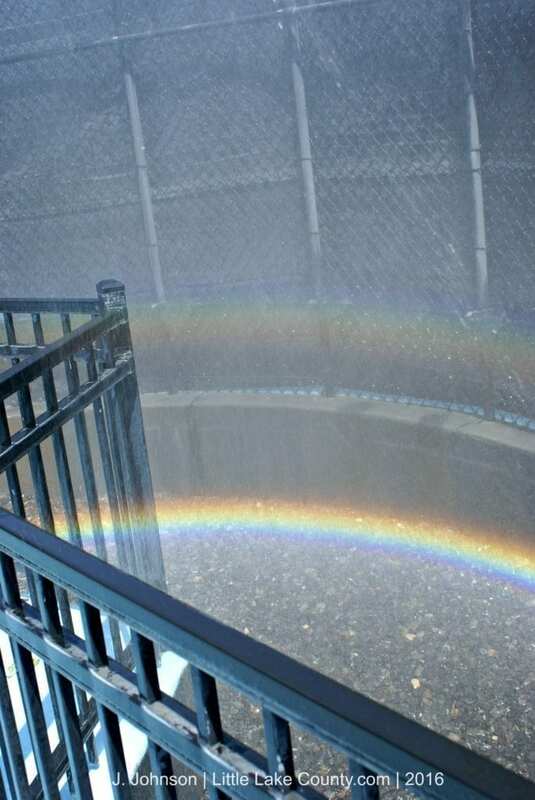 Creating a complete rainbow with water in a special, sheltered booth was a fun and interesting activity. It also involved taking a lot of photos from many different angles as well, in an attempt to capture the full spectrum of the rainbow to show friends. From the looks of it, they created and captured a double rainbow on this day. 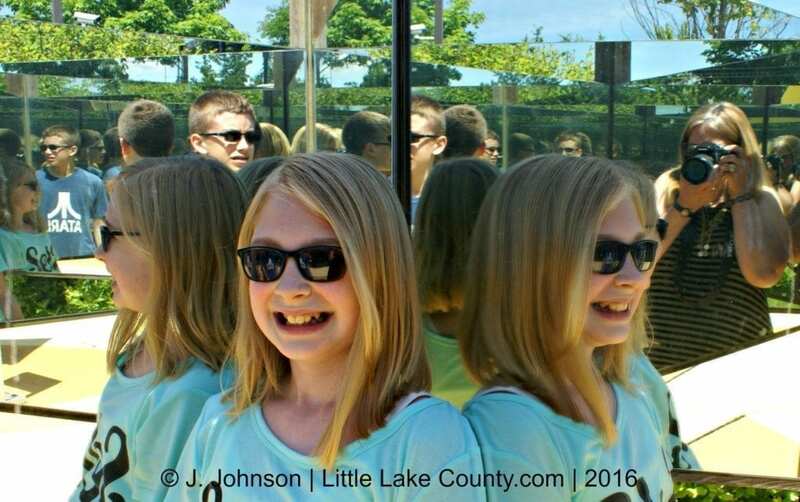 My daughter enjoyed the experience of stepping into a giant kaleidoscope (even occupying the same small space with her brother). It was large enough for all of us to fit into, and it was a lot of fun to see our own images multiply before our eyes in the mirrors. Are there really only three people there? It sure looked like a crowd to me. The Court of Biology contains an observation deck and large, powerful binoculars available to observe native species in their natural habitat. 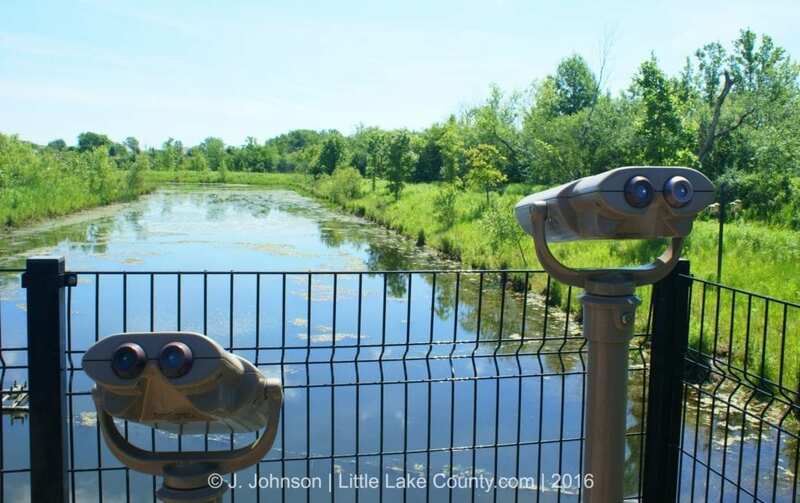 Plants, insects, birds and other wildlife can be viewed, and helpful interpretive information is provided. 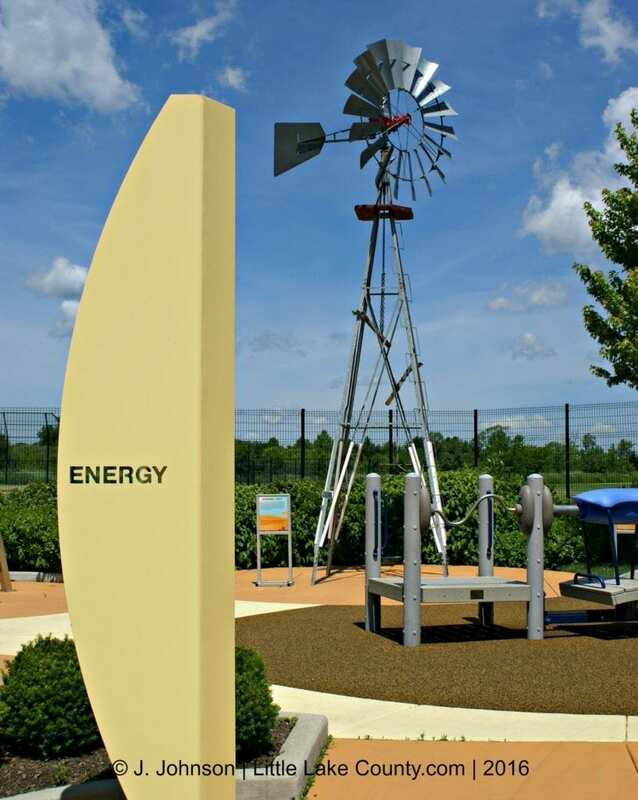 There is also a windmill and water spout operating nearby, demonstrating the use of wind force as a form of an alternative energy. 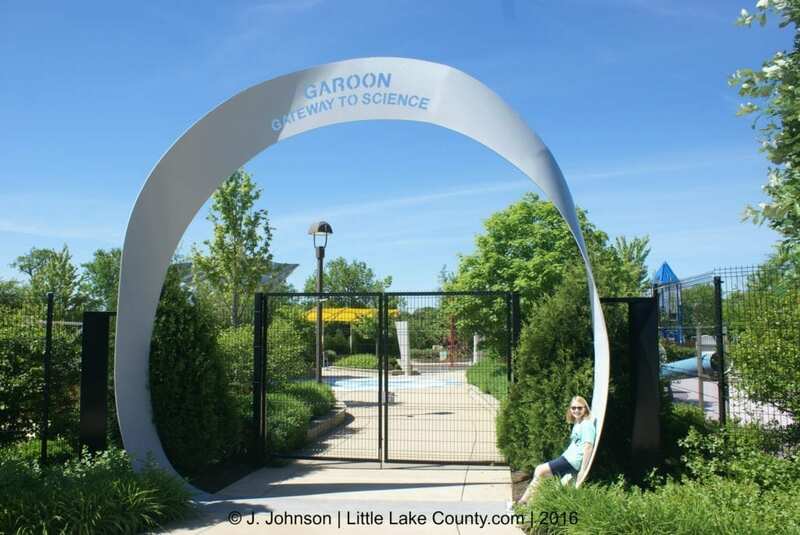 The Garoon Gateway to Science is used by the children attending the JCC Elaine Frank Apachi Day Camp, and it is also available for private parties and functions, as well as school and group field trips. I would highly encourage adding a trip to a public event held at the Garoon Gateway to Science to your summer bucket list. 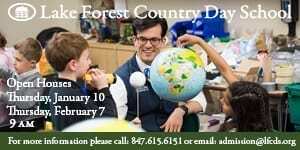 It is an amazing place where science comes to life in a comfortable, outdoor setting–one that seems almost as familiar as your own backyard. 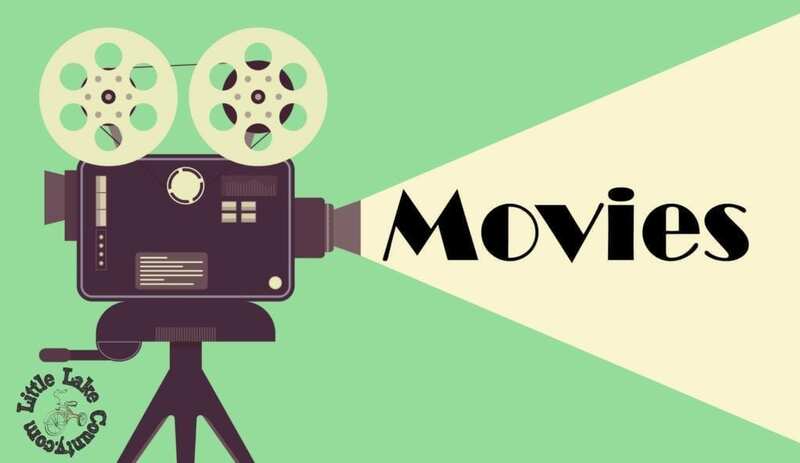 It is a great place to spend a morning or an evening with family and friends, and it is a wonderful, cost-effective way to integrate learning into your family’s plans for summer fun. My kids have already asked to go back–and to bring their friends. 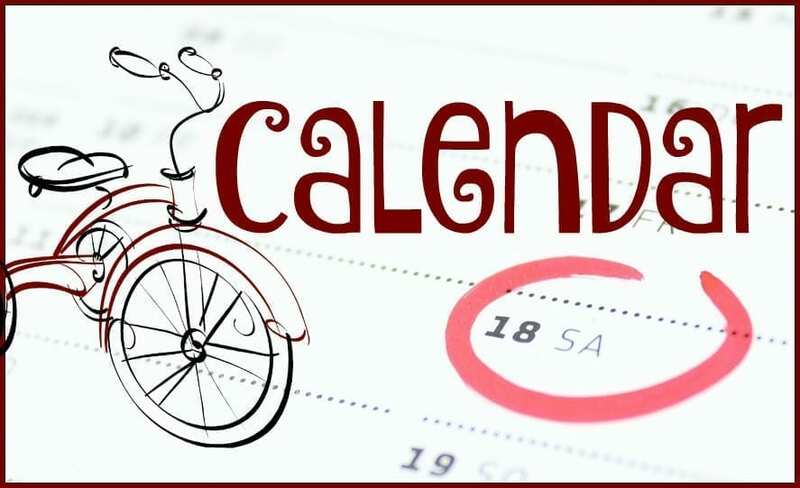 I hope to see you there, too. Disclosure: the writer received complimentary admission to the Garoon Gateway to Science for the purpose of facilitating this review. All thoughts and opinions are the writer’s own.